Thank you to all of the students who were part of Riverside’s Talent Show. Enjoy the break and we will see everyone on Monday, March 12! The students will practice from 3:15-4:15 p.m. on Monday afternoons on the St. Michael’s field. Please pick your child up in carline at 4:15 p.m. The match schedule has not been released but we assume we will have a match on Thursday, March 15. The first soccer matches are on Thursday, March 15. 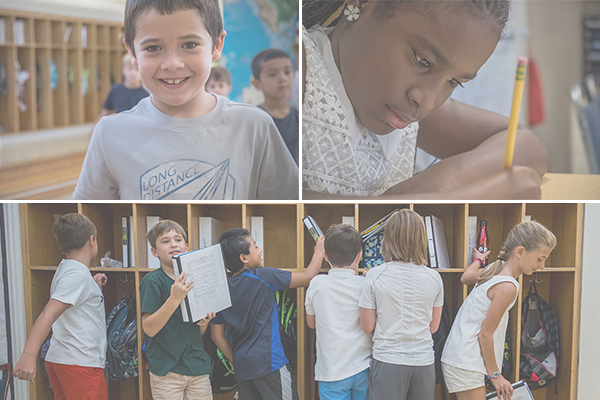 Riverside 1’s match is at 3:30 p.m., while Riverside 2 plays at 4:30 p.m.
Past Riverside Parent and Board Member, Juliette Sykes will be discussing possible tax benefits for Riverside parents and recent changes to tax laws, including new K-12 options for 529 plans. The meeting begins at 8:15 a.m. in the Art Room. Run Club starts on Wednesday, March 14 and continues every Wednesday until May 16. Please remember pickup is at 4:15 p.m. in the Riverside carline. Lower school classes (Mayer, Myers and Waldenmaier) will be going to the Richmond Symphony Discovery Concert on March 15. At Riverside, Friday, March 16 will signal a St. Patrick’s Day theme. Students are encouraged to donate $1 that will go to the St. Baldrick’s Foundation to help fund research for childhood cancer. Riverside student Paxton Chou shaves his head every year to help raise money for St. Baldrick’s. Riverside alumna Eliza Bullock will visit with the students at Morning Meeting. All parents are invited to attend the presentation and stay afterward to have coffee with Hal Waller. The session starts at 8 a.m. In order to make up for days missed for inclement weather, Friday, March 30 will now be a day of school for students. 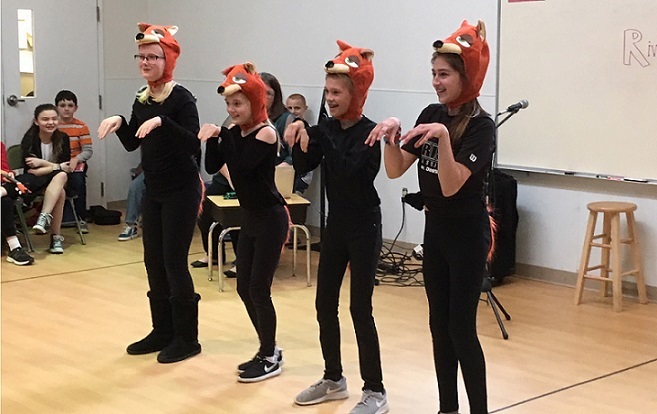 Riverside School students showed their multitude of talents during the annual Talent Show. Students demonstrated their jui jitsu skills, basketball tricks, comedy routines, singing, dancing, and other musical talents. The talent show was also hosted by our Student Council President Andrew Spasojevich. Thank you to Andrew and the students that participated: Danny Coleman; Ann Marin Crawford; Georgia Macomson; Isabella Puccinelli; Anna Telfian; Silvio Troy; William Wesley; Jacob Smith; Joe Seibert; Katie Grimm; Margaret Deener; T Lancaster; Molly Cheatham; Stephen Romano; John Vukmer; Avery VanHimbergen; Michael Trownsell; Spencer Loy; George Six and Sage Powelles. Many thanks to fellow students, teachers, staff and parents who supported them both in-person and behind the scenes. Great time and fun all-around. With the Winter Olympics as a backdrop, Mrs. Estes’ and Mrs. Sculthorpe’s classes are having a series of ‘Dance Off’ competitions to hone their dancing skills and show them off. We choose one dance, practice it, then draw out of a hat for a partner. There are two rounds. The dancers are judged on timing, footwork and form. We extend congratulations to Margaret Deener and Silvio Troy, who won first place for the Tango in February. Also, hats off to the winners in January—Tali Krumbein and Michael Trownsell, who claimed top honors for the Swing, as well as Sophia Six and Jack Chumbris, who captured first place for the Foxtrot. In March, Mrs. Sculthorpe’s class will compete in the Hustle. We’ll let you know who wins! Riverside Swag Store Is Coming Soon! A wide range of Riverside logo items will be available for purchase online after Spring Break. We are currently looking for parents to help with Teacher Appreciation Week. Please e-mail Elizabeth Coleman by clicking here >> or e-mail Becky Gelrud by clicking here >> if you would like to volunteer. The Parents’ Association is also looking for a parent volunteer to head up Founder’s Day, which is Riverside’s version of a Field Day. The event is scheduled for Friday, May 4. Please e-mail Elizabeth Coleman by clicking here >> if you are interested. Please check your calendars and click here if you are able to help distribute lunches >>. We appreciate all of your help! Please check your calendar and see if you are available to help with the students’ art classes on Wednesdays. If so, please click here to sign up >>. Riverside has reached 86 percent of its Annual Fund goal of $115,000 by May 31. Thanks to everyone who has donated as well as to our volunteers for the Phonathon, which is taking place on the evenings of Monday-Thursday, March 19-20. It was a great week-before-spring break here at Riverside. This week saw the beginning of the spring soccer season, the Reach Out and Read program, visits by a number of prospective families, Teacher Sunshine Treat Day (thank you, parents of Mrs. Waldenmaier’s class! ), and a symphony trip. However, the highlight of the week has to be yesterday’s Riverside Talent Show. We had 16 student acts, ranging from a jujitsu demonstration to a piano performance. Other acts included dance, comedy routines, and singing. Riverside students are definitely talented in lots of diverse areas, and our talent show makes this clear. Perhaps more importantly, though, Riverside students have the courage to show off their talents to their peers, who are supportive and encouraging. This kind of courage comes from attempting difficult things and finding success, and I believe that this is one of the areas in which our school excels. 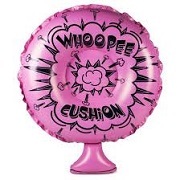 Why did the chemist sit on the whoopee cushion? Because he was looking for a big reaction!